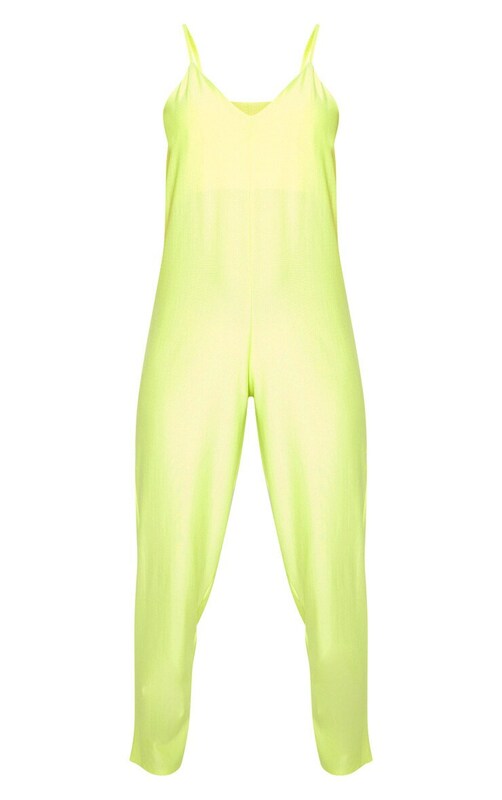 Add some bright hues to your off-duty wardrobe with this jumpsuit. Featuring a lime material with an oversized fit, thin straps and a slim leg fit. Team this with fresh kicks and your biggest hoops for a look we are loving.